FREE Unlimited Fries With Purchase! You are here: Home / FREEbies / FREE Unlimited Fries With Purchase! On June 25 only! 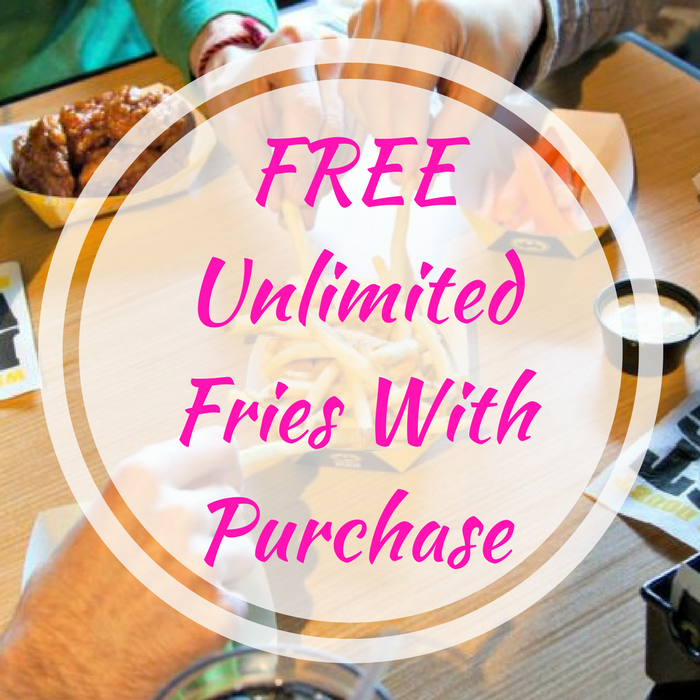 Head over to Buffalo Wild Wings to get a FREE Unlimited Fries with any boneless wings purchase! Valid on any size wings – small, medium, or large. If you prefer takeout, you will get a FREE basket of fries with your wings purchase. Yum!